It is not just another regular day in our lives. We are doing this job of reviewing new apps from quite a long time now and every day we come across many apps. While some of them are promising and worth to take a look at, others are just a one time show. There have been days when some astonishing acts make their way into the store. But still, it’s very rare that something completely new or unknown to our eyes strikes us. Liking or disliking is not a matter at that time; but it’s more about the beginning of a new concept and the opening of a new platform for other developers to work at. 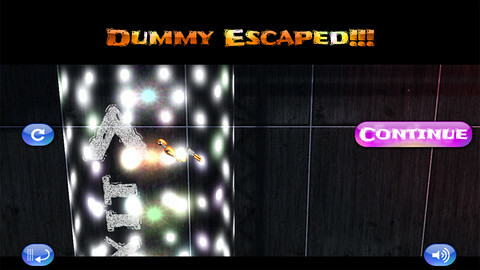 One such rare day has come with the evolution of Dummy Escape. 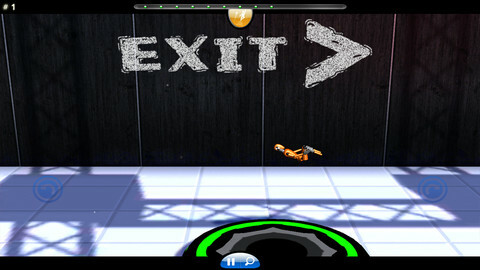 The game we are talking about, Dummy Escape Lite has recently entered into the App Store and has been developed by ViatcheslavTarasov. 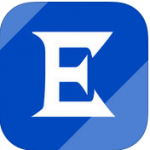 The app is compatible with iPhone, iPod touch and iPad and requires iOS 4.0 or later version of the OS installed on your device. The app has also been optimized for iPhone 5. 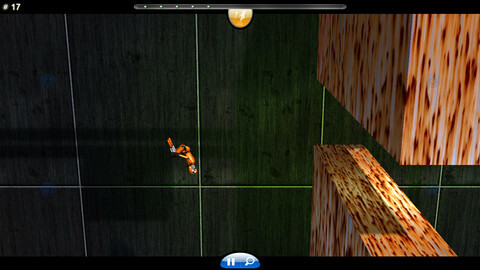 The whole situation is built inside the real world where gravity does exist unlike other gravity-free games. You are actually controlling a dummy and what you control is his movement in the space. He is constantly jumping up and down on jumping mats. You have to guide him across the towers and electric tubes. You can tap to zoom in for locating the exact position of the dummy on jump mat or you can zoom out to trace the path to be followed. There are two buttons to rotate the dummy either left or right. These movements determine the actual path of flight followed by the dummy. It’s more likely a projectile being shot in the space. There is a separate stabilization button in case you think that you have given a wrong movement to the dummy. You can also flip the dummy to boost him for extra power during jumps. You need to make sure that you climb the towers, pass through the bunkers and do not come in contact with the electrical tubes as preventing any of these conditions may cost your life. 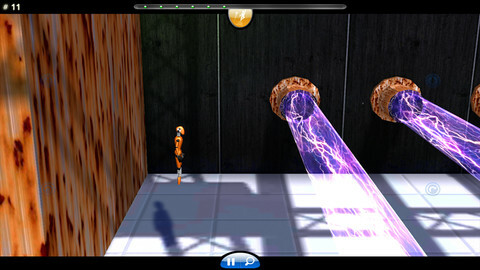 There are total of 20 levels of game play in the lite mode. However, if you want to play more, you may upgrade to the paid version of the app which is available for $1.99 which has a total of 100 levels which are added every two weeks. The paid version also contains the time mode. The graphics of the game are just awesome. We don’t remember any other game that offered better or even similar detailed and real graphics. The moving mechanism of the dummy was perfectly close to the reality and you need to play the game to understand what we’re saying. The music is another highlight which according to us was far more superior than being played in any other game. The game overall gives you a touch of fantasy and imagination which was mind blowing. A must have for every children and adult out there. You can Download Android Version Here. EDGE DIARY- BE THE CHANGE YOU WANT TO SEE IN THE WORLD!